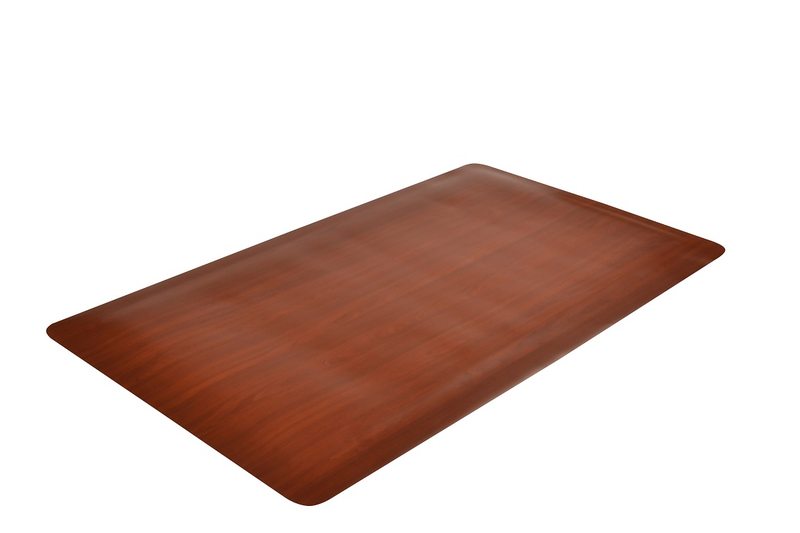 Woodgrain Sof-Tyle™ is an attractive yet functional anti-fatigue mat. The faux woodgrain finish complements any décor, and the vinyl top surface resists staining and is easy to clean. The closed cell foam base provides relief from leg and back discomfort, while NoTrax® exclusive UniFusion™ technology permanently bonds the top surface with the foam backing. Woodgrain Sof-Tyle™ comes in a 1/2" (477) or a full 1" (977) thickness for varying levels of comfort. Perfect for dry environments where aesthetic appeal is a consideration such as home or businesses, hotel lobbies, reception areas, office buildings, and retail stores. RedStop™ non-slip backing technology - eliminates mat slippage on smooth surface floors"
Custom Sizes Available in 3’ width (up to 75) Contact Ergoguys for pricing and details.